This spot, Best Damn Beer Shop, is a block away from my house. They really are the BEST DAMN BEER SHOP ( and organic produce ) in downtown San Diego except they didn’t have any bicycle parking. They had this fence out front though and I had these random pieces of plastic. So, I reached out to BDBS’s owner, and working with The RimSkin, we made these signs! 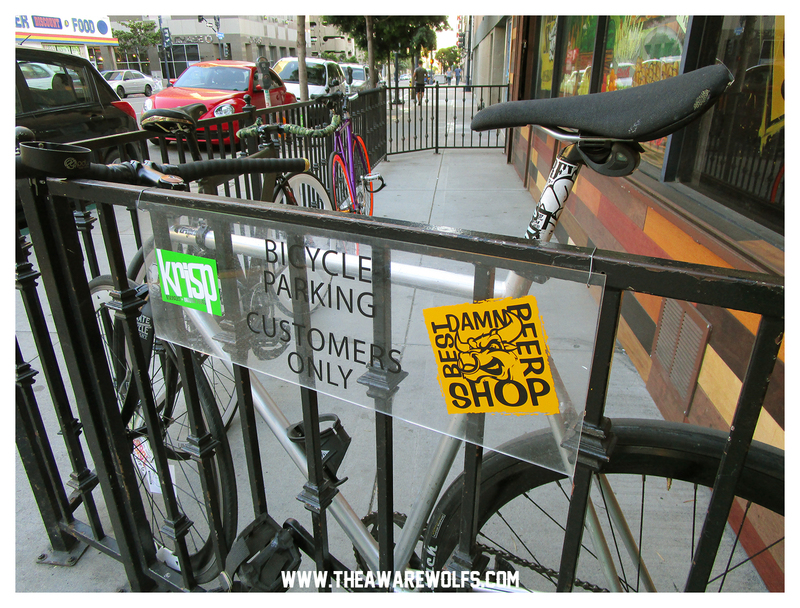 PLENTY of bike parking now! !